In conjunction with the exhibition Kilns of Alfred: Transactions with Fire - as viewed through the lens of photographer Brian Oglesbee on view through July 28, 2019, Fredrickson’s gallery talk will focus on the highlights of his career working with the luminaries of Alfred ceramic art and the Ceramic Art Division of the art school. He will share his insight into the nature of ceramics via the kiln and will concentrate his remarks on the role of the kiln in the individual artist studio. Freddy has been instrumental in facilitating the kilns of Alfred as an advisor, designer-builder and technician extraordinaire for the Alfred community of ceramic artists and the art school’s Division of Ceramic Art at Alfred University since 1980. He retired as chief kiln technician for the school in 2016, but continues to build kilns for many artists including those beyond the region of Alfred, NY. 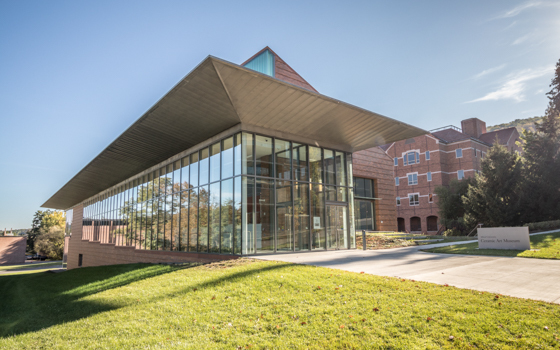 The students write of Freddy: Fredrickson kept student research at the center of his charge, building important connections and co-operative relationships with all facets of the art school and Alfred University – connections essential for the advancement of a large and complex world-class facility. Freddy’s effectiveness was commensurate with the respect he garnered across the greater community for his good will, integrity, generosity and expertise.